As we continue our recent trend of boutique hotels, there’s a hidden gem past 200 Peachtree in the form of The Ellis Hotel. Nestled on the corner of Ellis and Peachtree St., The Ellis Hotel is downtown’s newest boutique hotel which offers a comfortable and cultural atmosphere. Its location is just minutes away from places like the Hard Rock Cafe, the MLK Museum, Georgia Aquarium, the World of Coke, Hartsfield-Jackson International Airport, and the newest attraction downtown, Skyview. It’s also conveniently located by the Peachtree Center Marta station which can be reached in mere seconds. 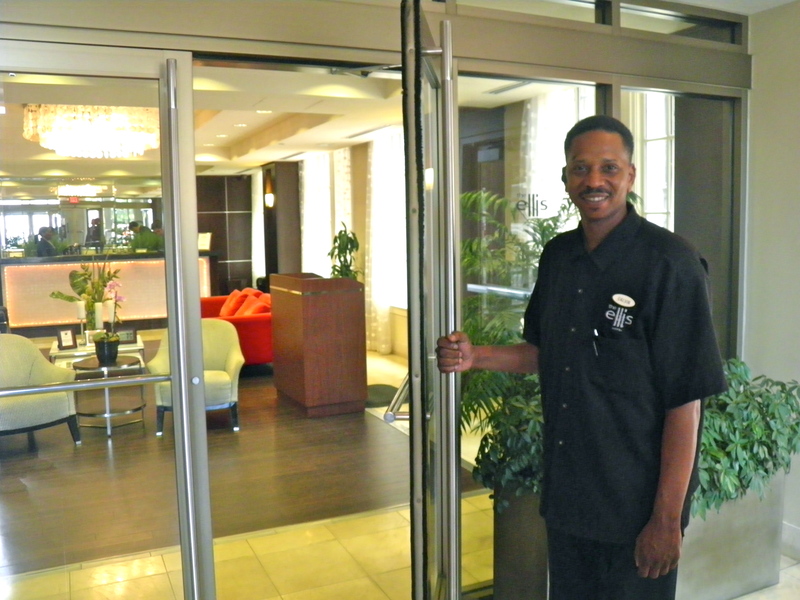 Once you arrive at the hotel you’re greeted by a sense of calm, that can be felt in the air. A lobby designed for someone to enter, sit down, and read a magazine or just simply relax. 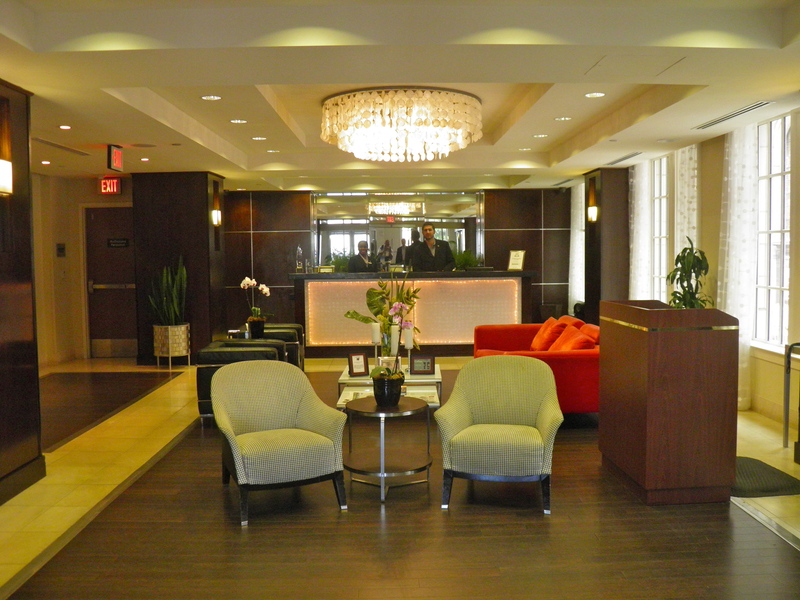 The design and layout of the lobby is colorful, artsy, fun, and welcoming. The first thing you’ll notice is that there are chairs facing you once you enter, almost to say “come on and have a seat.” It’s this type of transition from the hustle and bustle of Peachtree to the peace and quiet of The Ellis, that patrons and guests should expect. 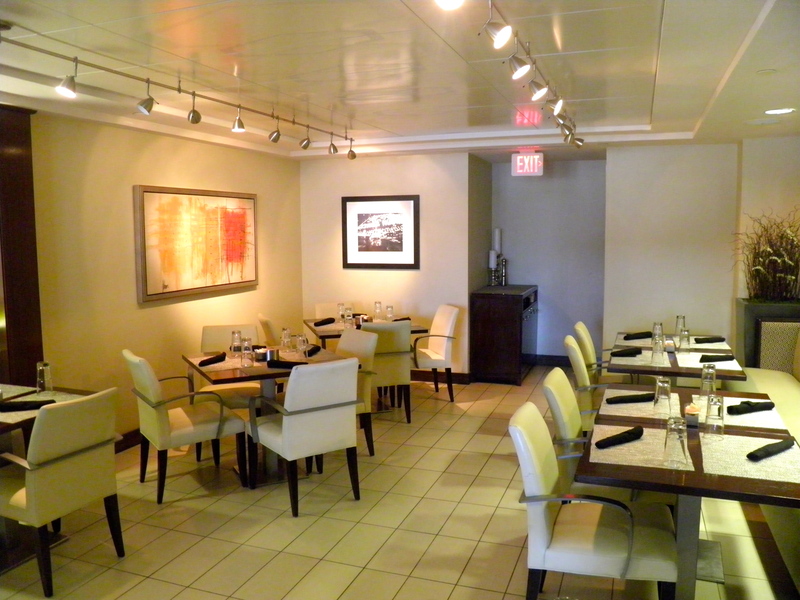 What sets this hotel apart from others downtown are amazing features like their coffee. Did you know that if you purchase one of their coffee mugs you get free refills? ALL the time? That’s right, just keep it with you each time you travel and you can just refill it during your stay. If that isn’t cool enough, how about an entire floor catered towards women? The Ellis Hotel secures the safety of the solo female traveler with keyed entry, complete with ladies amenities in the form of straighteners, curling irons, robes & slippers, sleep masks, Spanx, and more! They even come stock with Molton Brown natural products like face wash and lotion. So not only can female guests get an extra sense of security, they can truly relax and feel catered to! (also to note, while on the elevator, you must have a key to even access the women’s-only floor, for added security). You know our green philosophy at The Peach Review® (digital only, try to take Marta as often as possible, carpooling when available) well The Ellis Hotel has a number of eco-friendly requirements as well. Features such time light systems in maintenance and housekeeping closets, the greenery displayed in the landscape and even the type of linens they use. This hotel strongly supports the Green Seal in more ways than one. On the main level, you can find The Lobby Bar which is a perfect spot for cocktails before catching a play at The Balzer Theatre, or even to keep the party going after a performance at Juke Joint. Terrace (the restaurant) recaptures the pure simple flavors and tastes of natural and organic ingredients. 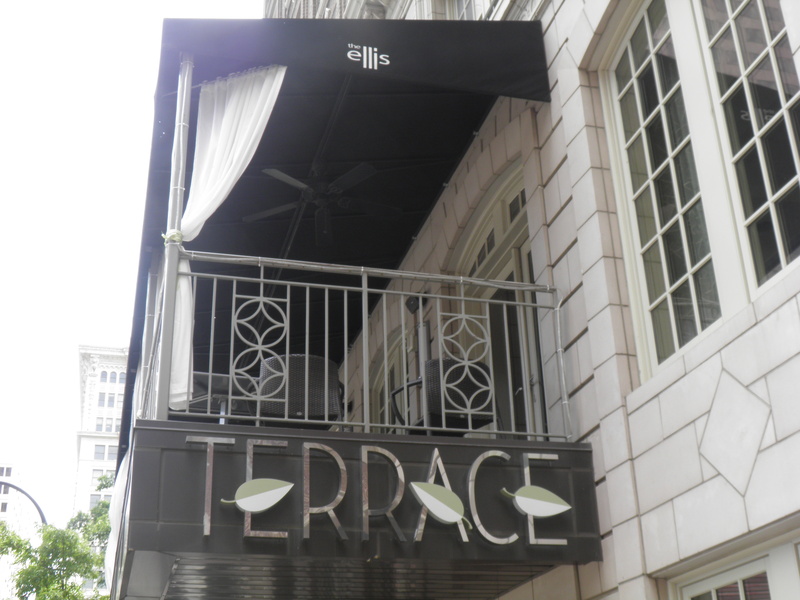 With season menus and daily features, Terrace offers dishes from Georgia Mountain trout to Flat Iron Steak. Or for the more simple palette, a delicious helping of Macaroni! 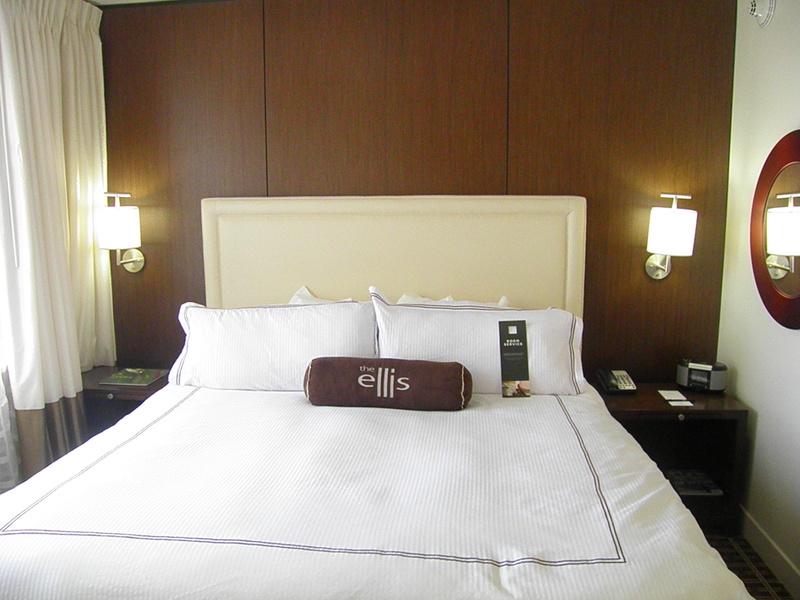 The Ellis Hotel has 127 guest rooms, 12 junior suites, and an executive suite, all with earth tones, sleek designs, desks, and distinct artwork that you’ll notice, won’t be found anywhere else. Speaking of items you won’t find everywhere, how about an Ostrich leather headboard? Oh, and let’s not forget the good stuff like 32” LCD flat screens, iPod docking stations, and most important of all, FREE Wi-fi.